One of the simplest natural healing remedies for relieving stress and tension is to clear your aura, also called your energy field. It is a law of physics that any time there is a vertical electrical current there is a magnetic field perpendicular to it. When you are standing up, your energy field is perpendicular to you. Most people’s energy field averages anywhere from 8 to 16 feet in diameter. If you were to engage in regular energy building practices such as I do, like meditation, tai chi, yoga and qi gong, your energy field could actually expand. The energy field of a master healer could well extend 100 feet in diameter. Whatever the size of your energy field, your physical health, energy level and even mental-emotional well-being is dependent on how clear you keep yourself. Just as most of us bathe or shower regularly, it is also a very good idea to clear your aura regularly. Whether or not you recognize it, there is constant energy transference going on between you and your environment. If you don’t believe me, ask yourself how you feel after just 5 minutes in a nursing home. Now ask yourself how you feel after spending 5 minutes with your best friend. Big difference, right? Whether or not you are aware of it, you are constantly responding to the emotions of all the people around you. If you are surrounded with happy, calm people, you could feel happy and calm. But if you are surrounded by angry, upset people that could be how you feel until and unless you learn how to keep your aura clear and your emotions centered. Whether or not you understand it, you are a V.I.P. – a vibrational interference pattern. You are a human being and you are also a body of energy existing in a larger fluid system of energy called the universe. All fluid systems are dynamic and in resonance, which means that your health and well-being may be affected by energies literally anywhere in the universe that you have no conscious awareness of. In alternative medicine, we say that all dis-ease and illness begins in the energy field and moves in to the physical body. If you can catch dis-ease when it is just in your energy field and move it back outwards, you can keep yourself clear from physical and mental-emotional illness. When you need to heal yourself, you must push the dis-ease out of your physical body, through your energy body, clearing the emotions, thoughts and beliefs associated and pushing the disturbance all the way out of your spiritual body. If you were to come to me for a healing session, one of the first things I would do is clear your energy field. I would clear whatever issues – physical, energetic, emotional, mental or spiritual – were presenting in your energy field at that moment. Once I get you to neutral, I can then proceed with healing work at a deeper level, rooting out issues that may have been causing you problems your entire life. So how can you clear your own aura? Stand up. The ideal place to do this would be in nature, such as a garden, a forest or a beach, but you can also get up every morning and do this, either standing in your bedroom or in your shower. Shut your eyes and visualize your own body of energy. You have a physical body (you know what that is). Outside of that you have an energy body, which consists of your chakras, your acupuncture meridians, your emotions, your mind and your soul. Using your mind – your most powerful muscle of all – visualize yourself pushing any and all congestion, negativity, interference or unwanted energies outwards away from you out of your own energy field. Use your breath. Inhale deeply and as you exhale, visualize yourself clearing your aura. Begin with your physical body. Whether or not you know where your chakras or acupuncture meridians are doesn’t matter. Keep visualize yourself clearing your aura, pushing unwanted energy out of your energy body. Next, move to your emotional body – the largest part of any human being. Keep visualizing yourself pushing unwanted emotions out of your field. Next, move to your mental body, which includes all your thoughts and beliefs. This is the part that offers a running commentary on whatever is happening in your life, just as if you were listening to a sportscaster offering the play by play on a football field. Stop listening, let go of your attachment to your story and push the energy out of your mental body. Finally, as you keep pushing the energy away from you, outwards out of your field, you will eventually reach your spiritual body, the part of you beyond all space and time. Keep pushing all negativity out of your spiritual body. As you are clearing your own aura, you don’t have to understand what you are clearing, just keep pushing any unwanted energy out of your field until you feel clear. You don’t need to label anything evil or bad – that would just be attaching another unnecessary story. If I am vacuuming my house, it doesn’t matter who caused the dust, I just clean it up. If I am washing my clothes, it doesn’t matter how I got a spot on my blouse, I just wash it. So it is with clearing your aura. No interpretation is necessary – just do it! It is a good idea to clear your aura every morning and again at the end of every day or when you are beginning your spiritual practice, such as prayer or meditation. Result? You would be amazed how even physical pain – back pain, neck pain – and all manner of mental-emotional disturbances will be wiped away. You will feel centered, happy and peaceful. What is healing? Healing happens when we keep our energy field clear. I love this post. 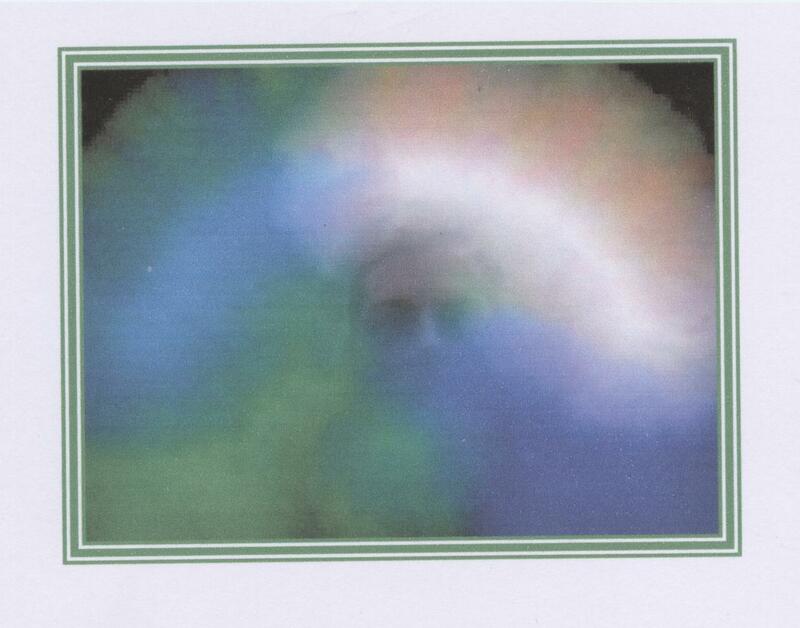 Clearly explains about the aura making it easy for non therapists to understand. Hi Laura, Thank you so much for reading! Living in big cities like London and Atlanta, it’s important to keep our energy clear. That’s true for all big city dwellers but most especially for those of us who do healing work for a living. Keeping our aura clear allows us to remain centered and grounded so that we may truly be of service to others. Bless you!